The BIRKENSTOCK slatted frames are based on the brand’s core functional and orthopedic expertise – delivering a palpable increase in comfort. 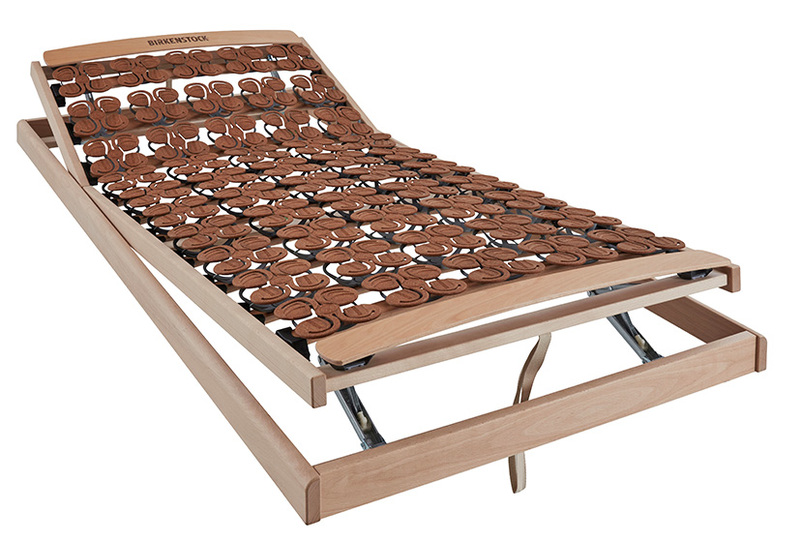 Undulating slatted frames featuring optimum adjustment to the human body are a key aspect of the BIRKENSTOCK sleep systems. They correspond to the natural contours of the body in all lying positions, laying the foundations for significantly improved support and strain relief. These also represent the key features that all our slatted frame models have in common. As personal sleeping habits vary so much from customer to customer, we provide our slatted frames in three different designs – including undulating and straight versions. 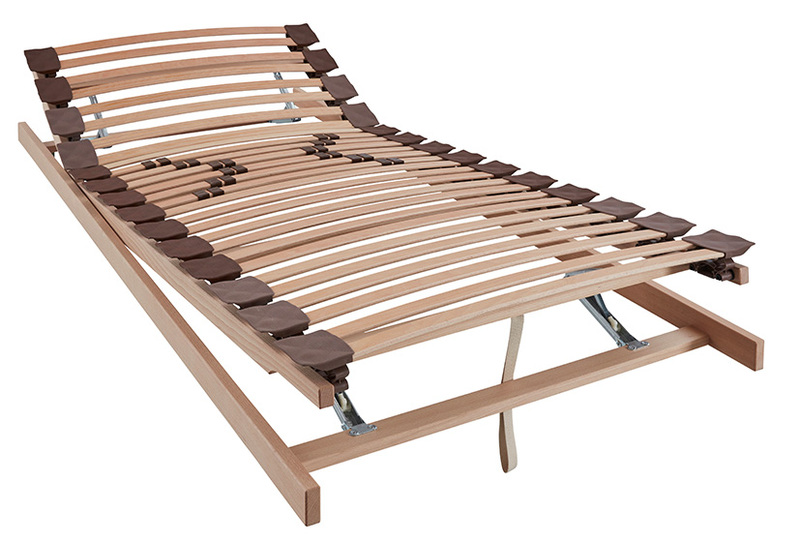 The BIRKO ACTIVE slatted frame features an undulating design that corresponds to the natural contours of the body. 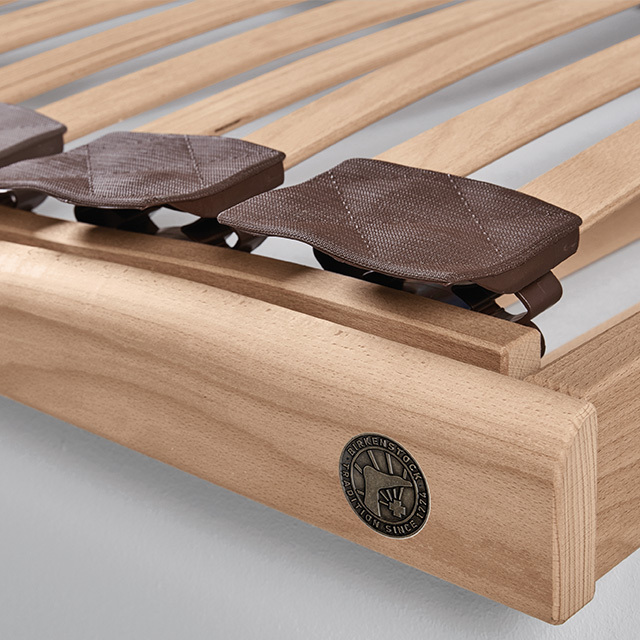 Perfect customization is ensured thanks to the layering system of the spring slats in a natural solid beech frame. 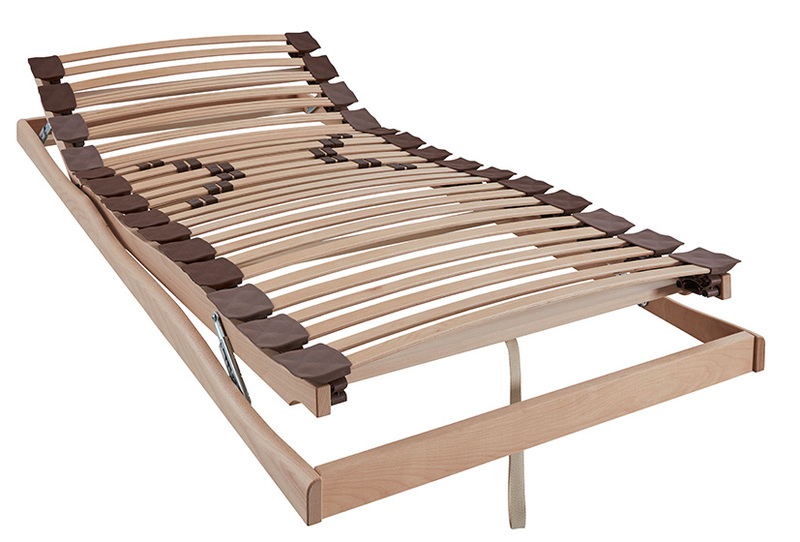 The laying comfort is boosted by the progressive firmness adjustment in the pelvic area. The BIRKO BALANCE plate slatted frame features highly flexible, point-elastic plate elements made of cork granulate that provide optimum strain relief for the body thanks to their layering system. 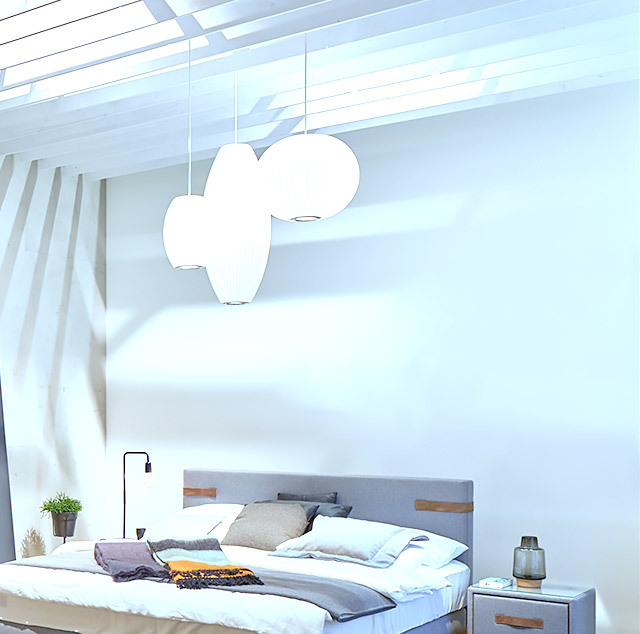 In addition, the discontinuous upper surface of the plates reduces the level of contact with the mattress and ensures effective surface ventilation.